Home / Adox Scala 160 ISO BW Reversal Film 35mm x 36 exp. 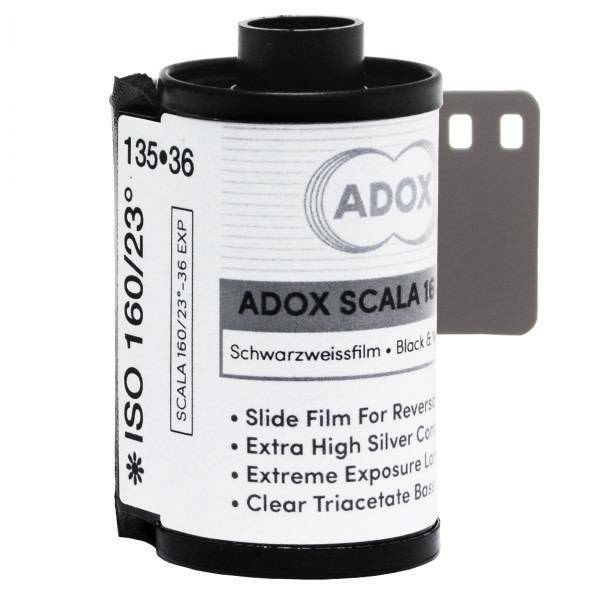 After being gone for almost 10 years, the legendary B&W slide film 'SCALA' is back and better than ever! Compared to the original film, this improved version comes in a slower speed (160 ISO) and therefore a finer grain. 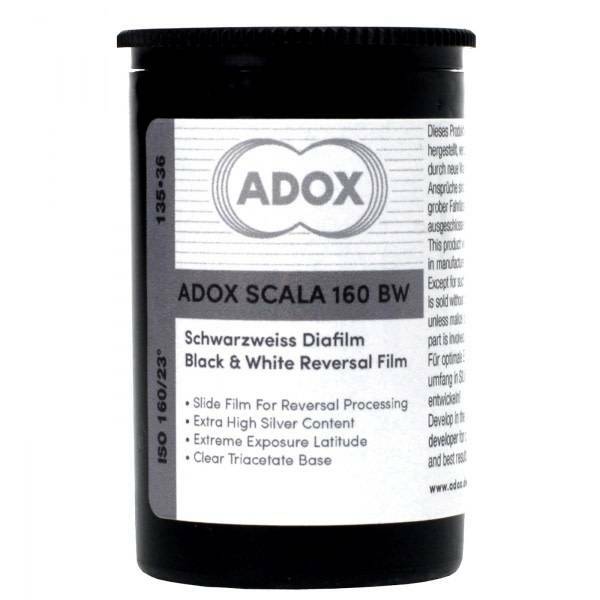 Adox SCALA 160 35mm is a panchromatic sensitized black-and-white reversal film intended for reversal processing (transparencies). 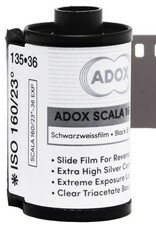 This is not a negative film which could be reversal processed rather it has been designed especially for this purpose. 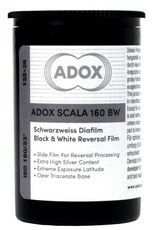 Coated onto a clear triacetate base and features an increased silver content (in comparison to a negative film) thus it yields a DMAX of 3.6 or higher (depending on the reversal process used). Due to a very efficient anti-halation layer, situated between the base and emulsion layers, the film offers very good resolving power and high contour sharpness.